What a collection of stunning Gold and shimmering Silver ribbons. Choose between sheers, metallics, with or without wire edges. Several different widths available, to allow you to find a ribbon for every occasion. 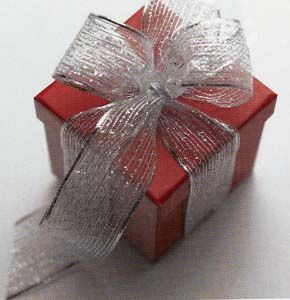 Whether it‘s a birthday treat, a little love token, or a special Christmas present you should find a ribbon here. Looking for narrower gold or silver ribbon?